Make a card of compliments for a friend or family member using kind words like WordGirl might use. In the WordGirl episode, “Miss Power, Parts 1-4” (#601-604) Miss Power is a bully to everyone she meets. Miss Power uses her secret weapon, mean words, to try to defeat WordGirl. 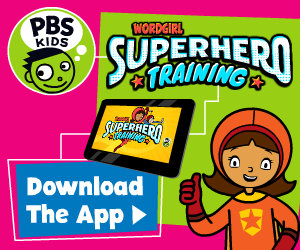 WordGirl saves the day using kind words and compliments, and so can you! Create a card for a friend or family member and use your words to tell them how you feel. Begin by folding the paper in half like a card. On the front, write the name of the person the card is for - perhaps a friend or family member. You are exceptional at dancing. It was kind of you to help me with my homework. Add pictures and words to your card to share these kind thoughts. When you are done, you can give the card to your friend or family member to share your compliments! Try making additional cards for other friends or family members. You can also practice having a conversation to share compliments, or role-playing compliments you could say to a bully, just like WordGirl did with Miss Power. 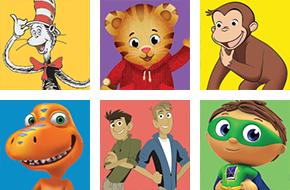 Find more activities featuring your child’s favorite PBS KIDS character! © PBS 2003-2014. All rights reserved.